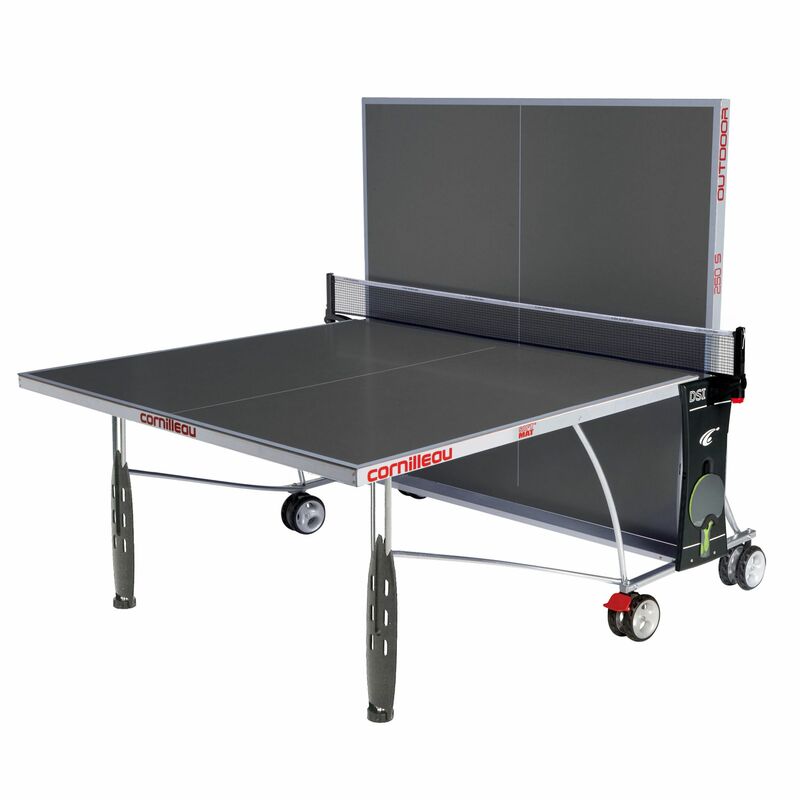 This sturdy outdoor table from Cornilleau reflects 3 times fewer rays than standard tops and is resistant to bat blows thanks to an anti-glare Soft MAT Top® and features a weatherproof 5mm Resin laminate playing surface. 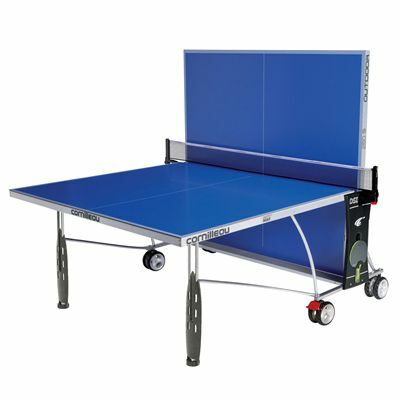 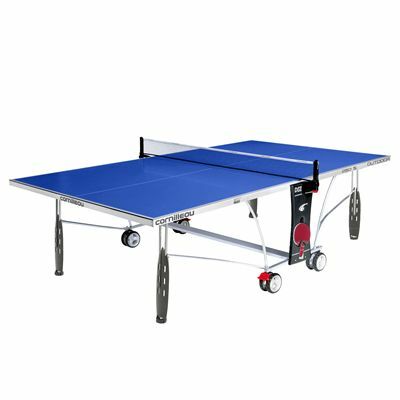 The Sport 250S table has retractable net posts, durable 40mm (1.6") corrosion/scratch resistant steel frames and 4.5" x 1.1" legs with adjustable feet for uneven surfaces. The DSI locking system ensures added safety, while a compact design provides easy assembly and storage. In addition, it offers playback facility for solo practice and has the FFTT approval for leisure use. 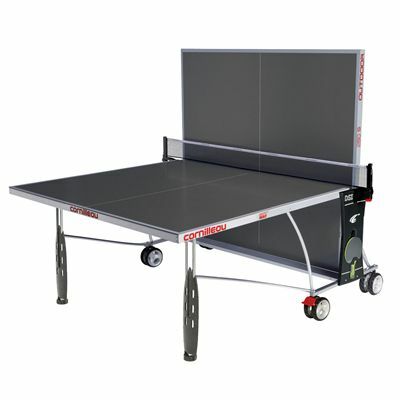 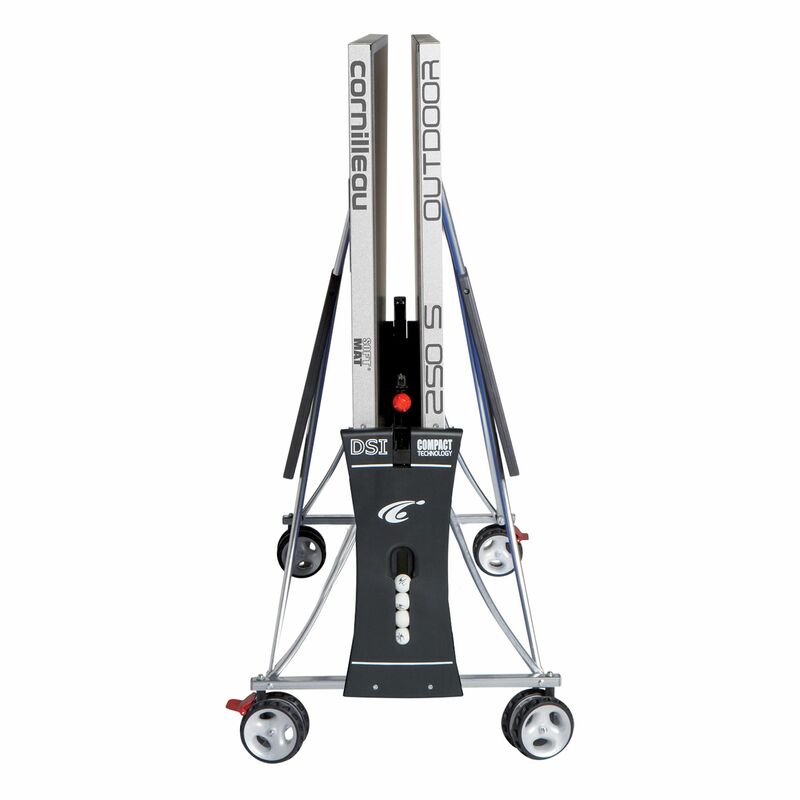 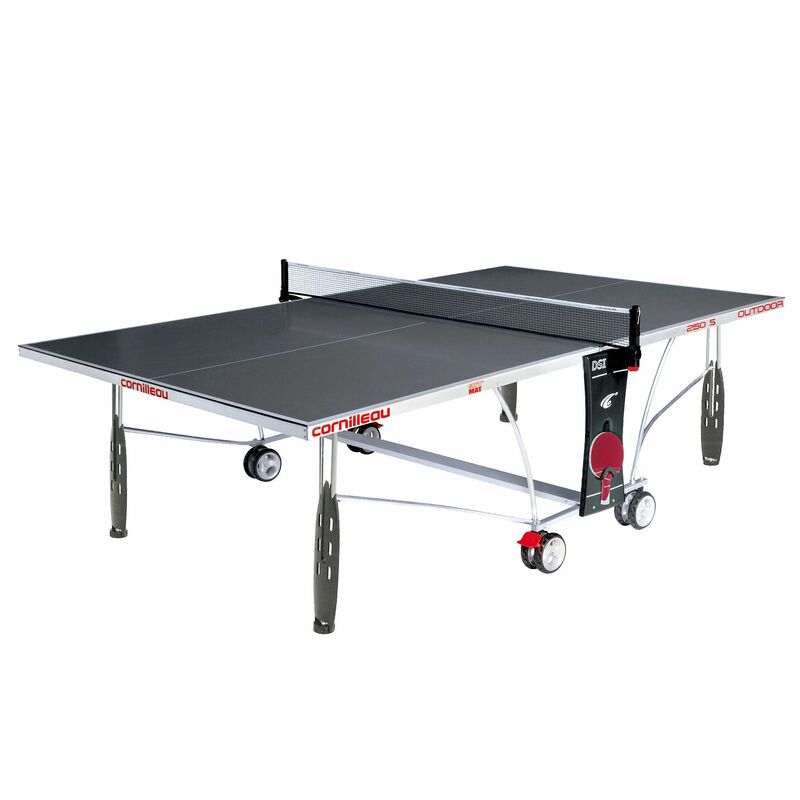 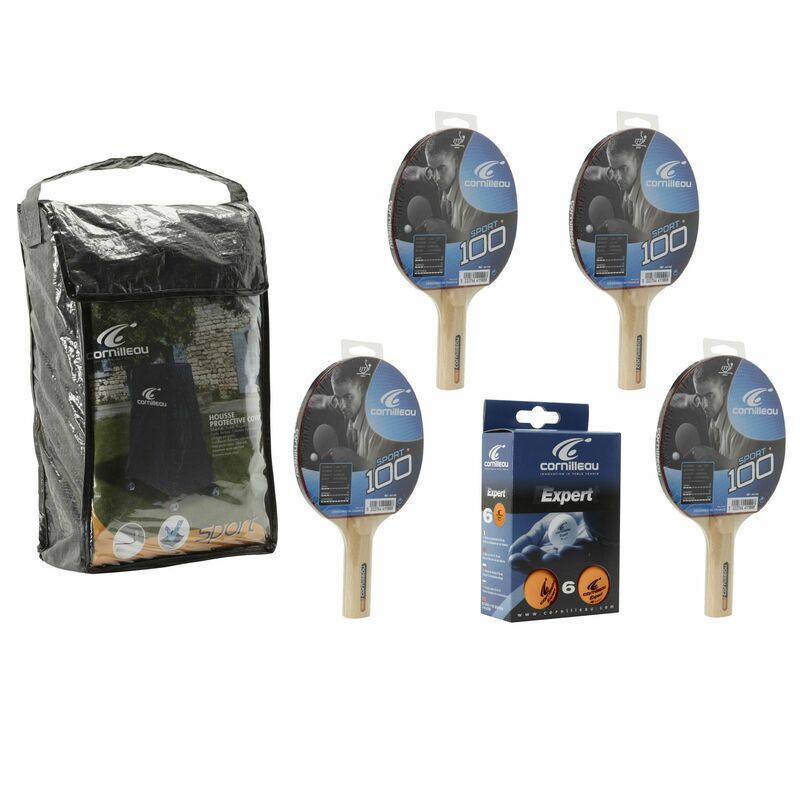 for submitting product review about Cornilleau Sport 250S Rollaway Outdoor Table Tennis Table.